The 19-year-old winger joined the Italian Lega Serie A team in the summer, and he’s feeling at home now. Dutch winger Justin Kluivert started his professional career with Ajax in 2016 in his native Eredivisie tournament. 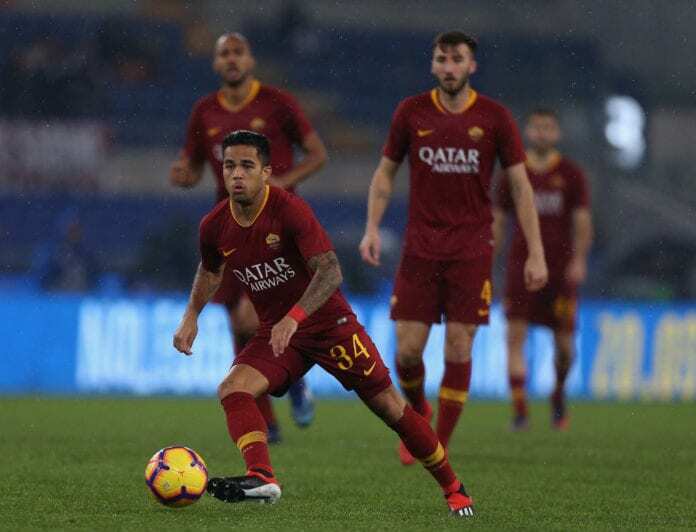 But in the summer of 2018, he was bought by Italian Lega Serie A club Roma. And now, more than six months after his transfer, he explains how he feels about being at the club. “The level is higher here,” Kluivert told ESPN on a lengthy interview. “I think when you’re ready for the next step, you have to go for it. And I felt that I was ready for the next step,” he explained. “That is the one thing that is really different here,” he continued. “The craziest guy [in the dressing room] for sure that’s Kostas. He’s like … how do you say … a boss. He always makes jokes and everything. He’s a good guy,” he added. “He helped me through everything when I came here. The first days he helped me a lot. That’s a very good feeling when somebody like him gives you that respect, that he looks out for you. That’s perfect,” the youngster commented.